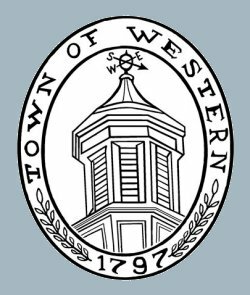 The Town of Western was formed from the Town of Steuben on March 10, 1797. Its 40,000 acres contain fertile soil and an abundant supply of water, including the Mohawk River, Lansing Kill, Big Brook, Stringer Brook, and other small streams. Westernville is the birthpalce of General Henry Halleck, one time Commander-In-Chief of the Union Armies. Buried here are General William Floyd famous Revolutionary soldier and signer of the Declaration of Independence, and Admiral Montgomery Sicard of Civil War fame. The Town of Western offers residents a peaceful rural atmosphere. There is an active senior citizens group, which meets monthly for activities. The Western Town Library offers programs for children and adults,and the historical society provides lectures and events for the entire community. There are currently two churches in Westernville, the United Methodist Church at Main St. and the First Presybterian Church located at Stokes Westernville Rd. North Western has one church, the United Methodist church, located on Rt. 46. Town Board meetings are held on the 2nd Monday of each month, at 7:00 PM. The Planning Board meets on the 3rd Monday of the month, at 7:30 PM. The Zoning Board meets on the 4th Monday of the month, at 7:00 PM.